Associates for Breast and Prostate Cancer Studies, (ABCs), hosts its annual, star-studded Talk of the Town black-tie gala at the Beverly Hilton Hotel, Beverly Hills, Saturday, Nov. 18, 2017. Gala benefits breast and prostate cancer research at the John Wayne Cancer Institute at Providence Saint John’s Health Center. ABCs president Gloria Gebbia is proud to announce that Patrick M. Byrne, founder and CEO of Overstock.com will be honored with the Spirit of Hope Award and Entertainment Tonight’s co-anchor Nancy O'Dell will receive the Spirit of Entertainment Award. 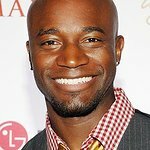 Singer/songwriter Bret Michaels will perform and actor Taye Diggs will emcee. Sheri Rosenblum is gala chair and Beverly Cohen is décor chair. The gala includes a luxury boutique and silent and live auctions. Patrick M. Byrne will be honored with the Spirit of Hope Award. In 1999, Byrne launched Overstock.com and in 2016, Overstock.com had revenues of $1.8 billion. In 2001, Byrne began Worldstock Fair Trade, an Overstock.com division selling handcrafted products from artisans in developing nations. Worldstock profits have been donated to fund philanthropy projects, including building 26 self-sustaining schools across Asia and Africa educating thousands of students. As a public service, Byrne created a pet adoption service that has connected people with over 100,000 pets since 2014. In 2010, Forbes magazine named Overstock the No. 9 Best Company to Work for in the Country, and Byrne the CEO with the highest employee approval rating (92%). In 2014, Overstock was one of the Most Trustworthy Companies in America as named by Forbes/MSCI ESG Research. Byrne believes that our nation’s success depends on education and capital markets. In 2012, Overstock became the first business with more than $1 million in revenue to accept bitcoin as a payment method and in 2015 Byrne used Medici’s t0.com cryptosecurities trading platform to become the first person to purchase a digital bond entirely on the bitcoin blockchain. Byrne made history again in 2016 when Overstock.com issued the first share of a public company ever traded on an alternative trading system (ATS) utilizing the blockchain’s distributed ledger technology. Byrne received a bachelor’s degree in philosophy and Asian studies from Dartmouth College, a master’s in philosophy from Cambridge University as a Marshall Scholar and a doctorate in philosophy from Stanford University. Having taught at the university level, he is a frequent guest lecturer discussing internet commerce, blockchain, capital markets, Wall Street practices, education, leadership and ethics. Emmy Award-winning journalist Nancy O’Dell will receive The Spirit of Hollywood Award. O’Dell has proven to be a force in all areas of her career as a host, author, producer and entrepreneur. One of the country’s most respected and leading entertainment journalists, O’Dell is co-host of the most-watched entertainment news program in the world, Entertainment Tonight. Prior to her work at ET, she served as the co-host of Access Hollywood and was named one of Television Week’s “10 Most Bankable Stars in Syndication.” With more than 20 years of experience, O’Dell contributes to CBS This Morning and is a go-to anchor for live TV specials. She was a host of the American Country Music Awards and hosted the 2016 Grammy Red Carpet Live Special on CBS as well as the live Emmys, Golden Globes and Critics Choice Red Carpet Special for multiple years. For 17 consecutive years she has hosted the Tournament of Roses Parade. She is a member of the Academy of Country Music Awards and the was the original host and consulting producer for Nashville Star, as well as the host and producer of HGTV’s Celebrities At Home. O’Dell has been honored with three Emmy Awards, three Associated Press Awards and two Society of Professional Journalists Awards. After her mother passed away in 2008 from complications related to ALS, O’Dell became a National Vice President of the Muscular Dystrophy Association and serves as the spokesperson for ALS.net. In 2009, MDA, O’Dell and O’Dell’s family formed a foundation in her mother’s name called Betty’s Battle: Fighting ALS.